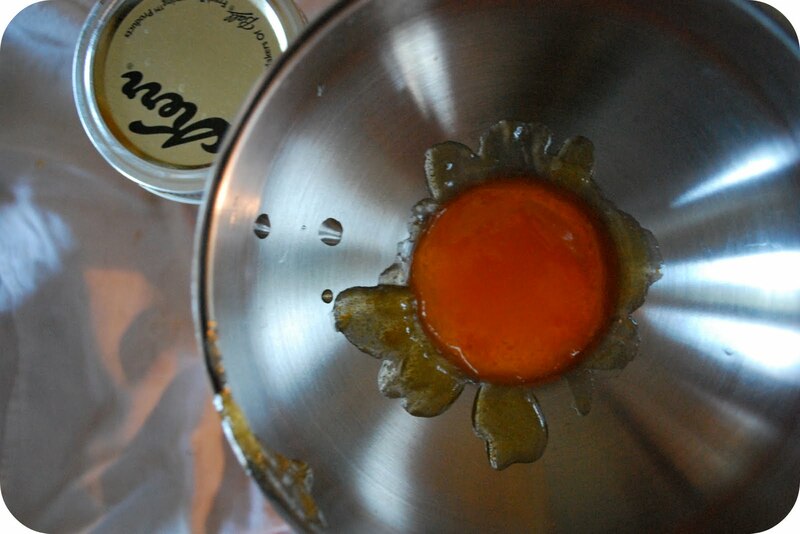 ...As you can see here, it all worked like a charm--apricots cooked down, jam jelled, tastes like summer in a jar. And if you do make some apricot jam--here is my very strong recommendation--make yourself a loaf or two of irish brown bread (that recipe is right here too) and serve that up this weekend with your freshly concocted apricot jam and some lovely european butter. Because these things are meant for each other--you can feel them holding hands and reading Shakespearean sonnets to one another as they glide over your tongue. 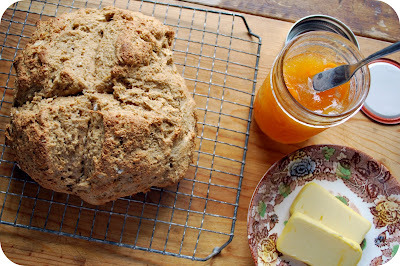 Apricot jam and irish brown bread are food soul mates, I tell you. Try it--you'll see. Like love in your tummy. I am getting there! Last night it was blueberry jam. More of that today. I ran out of jelly jars. 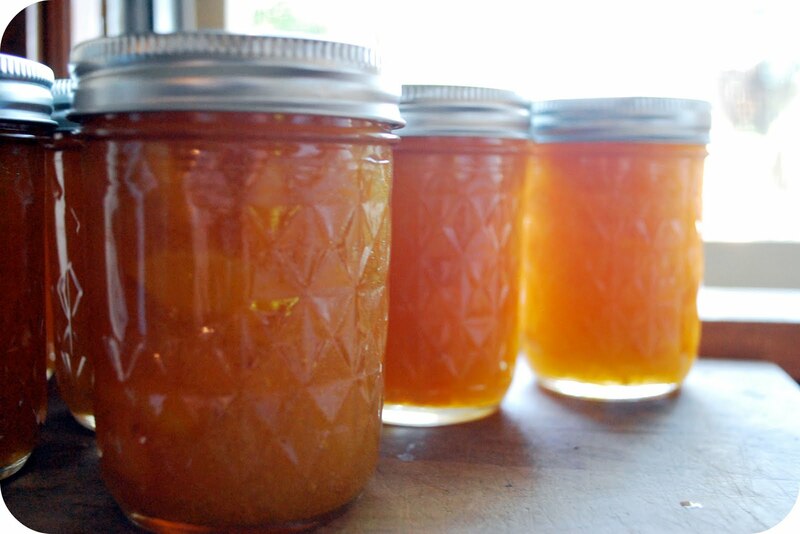 Ooooohhhh, apricot jam is quite possibly my favorite jam ever, and I love making it! I've never thought of pairing it with Irish brown bread; I'll definitely try to do that one of these days when kitchen remodel is done. apricot jam sounds heavenly. your photos are great. the one with the metal funnel is my favorite. I don't know where you live now. If you are in the US & close to a Trader Joe's store you can get Kerry Gold Butter. It is imported from Ireland and yummy. Great on Irish Brown Bread. I fell in love with Irish Brown Bread on a trip to Ireland. I'll be on a bender this weekend - the blackcurrants are falling off the bushes! 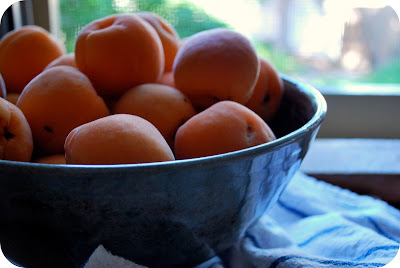 Love the look of apricot though - I'm sure a couple of jars won't go to waste! Thanks for the recipe. Sounds so good! And I'm going to have to go download the blubarb recipe as well, since I've got both rhubarb and blueberries coming out my ears and needed to figure out what to do with it tomorrow. Guess it was meant to be that I read your post! 'Love in your tummy- - that phrase is fab! I am attempting jam for the first time this summer. 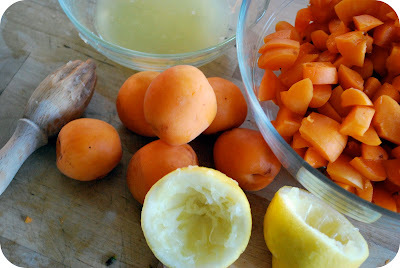 I've made freezer jam but am going to try canning. Your jam looks amazing!! !